According to researchers of National Cancer Institute, farmers due to long hours of exposure to sun, pesticides and other substances have higher rates of developing several deadly forms of cancer. Evidence suggest that increased physical activity and lower rates of smoking among farmers contribute to lesser cancer incidence but agricultural exposures to microbes, sunlight, pesticides and other chemicals may increase the risk. Farmers are exposed to a variety of substances including engine fuels or exhausts, organic and inorganic solvents, chemical fertilizers, pesticides, welding fumes, mycotoxins and zoonotic microbes. Other factors like genetic or medically induced immune deficiencies and agricultural lifestyle affect the health of farming populations. Farmers take on work of carpenter, mechanic, welder and pesticide applicator getting exposed to many potentially hazardous substances. Agricultural workers, farmers or farm worker sand their families may be exposed to potential carcinogens including pesticides, sensitizing agents and solar radiation experiencing higher rates of cancer. Women engaged in agricultural work and children living in agricultural areas may be exposed to different types and levels of cancer causing agents. Wide range of exposures is possible depending upon the agricultural operation that varies from farm to farm. Farmers appear to experience elevated risk for several cancers like non-Hodgkin’s lymphoma, leukemia, multiple myeloma, soft-tissue sarcoma and cancers of the brain, stomach, prostate, skin, and lip. Agricultural workers are at the risk of developing hematologic malignancies due to factors like zoonotic viruses responsible for human carcinogenicity in veterinarians, abattoir workers and meat inspectors; agricultural chemicals, for example exposure to phenoxy herbicides increases risks of soft tissue sarcoma and malignant lymphoma; and agricultural farming involves lymphoproliferation as a result of prolonged antigenic stimulus. Lymphohematopoietic cancers, melanoma, prostate and brain tumors have been also reported among agricultural workers. Commercial pesticides applicators and farmers have enhanced risk of developing lung cancers due to significant exposure to specifically four pesticides of chlorpyrifos, diazinon, metolachlor and pendimethalin. Mechanism of mutagenicity, immunotoxicity and hormonal disruption by pesticides potentially initiate and promote cancer. 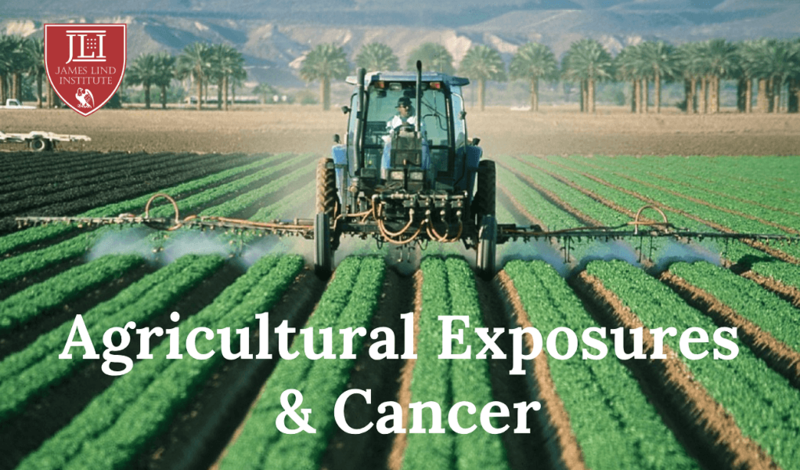 Varying agricultural exposures influences cancer risk in different ways with patterns indicative of occupational factors and farming lifestyle. The types and levels of exposures have shown evidence to suggest the strong association of risk of developing leukemia among farmers. Leukemia among dairy and poultry farmers suggest involvement of zoonotic viruses while pesticide usage is associated with crop production. Pesticide applicators and farmers have higher rates of prostate and ovarian cancer while crop-duster pilots have higher rates of skin cancer. The associations regarding Hodgkin’s or non-Hodgkin’s lymphoma, soft-tissue sarcoma, multiple my eloma and cancers of the brain, stomach and prostate is unclear. The high rate of physical activity associated with farming lowers the incidence of color ectal cancer. Farmers, farm-workers and ranchers because of excess exposure to UV radiation are at greater risk of developing skin cancer and need skin protection by usage of sunscreen, sunglasses and full clothing. Reports suggest high consumption of plant-based foods has preventive role in cancer. Increasing evidence suggest organic agriculture eliminates the use of synthetic pesticides and chemical fertilizers to create condition favorable for high yields and provide healthy work environment. 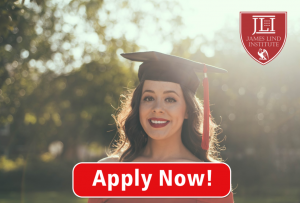 James Lind Institute (JLI) provides advanced online programs in Occupational health & Safety management and Environmental Health for better understanding of agricultural exposures and the associated risk of cancers.